Humphrey Butler Ltd was founded in June 2000 by Humphrey Butler, a former auction house specialist with over twenty-two years' experience in the international jewellery field working for both Christie's and Sotheby's. Over the past decade the company has consolidated its position as one of London's foremost independent dealerships, based in new Pall Mall premises and specialising in both important estate jewellery and more contemporary luxury items dating from the 18th century to the present day. It can provide those clients seeking a discreet and professional alternative to salerooms and retailers with access to expert knowledge and experience in all aspects of the jewellery market. In addition to the UK, Humphrey Butler has exhibited regularly in the USA, covering Miami, Naples and Palm Beach in Florida, together with Las Vegas, New York and San Francisco. In 2010 the firm made its inaugural appearance at TEFAF in Maastricht. Born in 1957 and educated in England, Humphrey Butler joined Christie's in 1976 and during a twenty-two year career he held senior positions in Geneva, London, New York and Paris accumulating unrivalled experience in all aspects of the auction business, though always associated with the jewellery department. 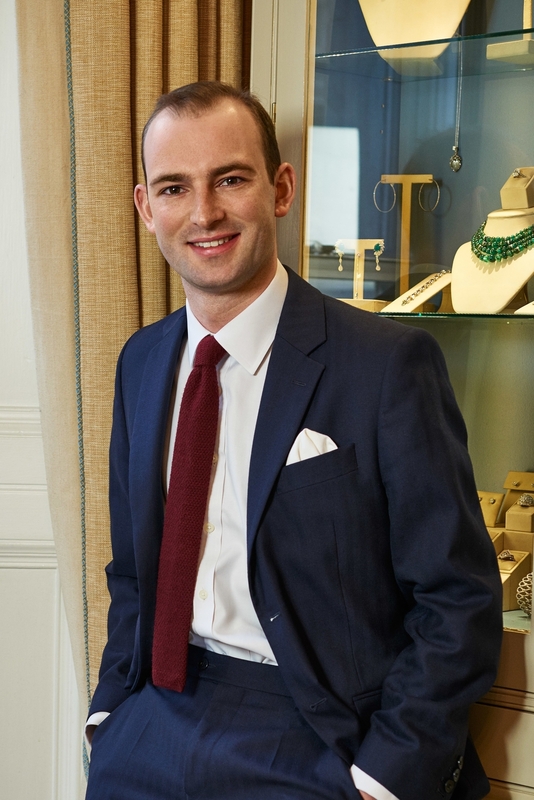 Having left the firm in 1998, he enjoyed a brief stint with Sotheby’s before breaking away to set up his own business in 2000 in association with Dickinson, the Jermyn Street gallery, providing discreet advice to private clients on all aspects of the jewellery industry. The firm became fully independent in September 2008 and is now established as one of the UK’s leading dealerships in vintage pieces and individual gemstones. In addition Humphrey is now recognised as a leading international auctioneer, selling for a number of high profile charities worldwide, covering America, Hong Kong and the Cannes Film Festival. Both of the two highest grossing charity wine sales in the USA, the Naples Winter Wine Festival and Auction Napa Valley, fall under Humphrey's remit. Liesbeth Heit caught the jewellery bug organising the very first jewellery sale held by Christie's in Paris in December 2001. She subsequently transferred to Christie's London jewellery department where her studies led her to become a Fellow of the Gemmological Association in 2007, while organising the twice yearly auction sales in her role as senior administrator. Liesbeth joined Humphrey Butler Ltd in June 2008, where she became Lily for ease of email address, and since then has played a pivotal role in the day-to-day running of the business as Humphrey's PA. A queen of all things logistic, Lily covers every aspect of our administration including billing, correspondence, shipping, stock control and the monthly accounts. Robert (or, more often, Bobby) Leigh-Pemberton found his way into jewellery by accident, having been introduced to fine jewels working at Sotheby’s while still at school. Confronted by the varied array of pieces that inevitably cross one's desk at any auction house, he quickly became obsessed. After leaving university in 2013 he went to work for Sotheby's in London permanently. From there he worked on sales in Bond Street and in Geneva, learning all he could about both antique and modern jewellery and its market. After a short break, he joined Humphrey Butler in January of 2016.